2900 Grand Route St. John, New Orleans, LA. This church originally was Mount Calvary Lutheran Church. 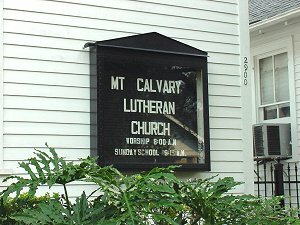 After closing in 2003 because of dwindling membership, it reopened in 2005 as Mount Calvary Fellowship. The pastors at the time these photographs were taken were Frank and Parris Bailey. 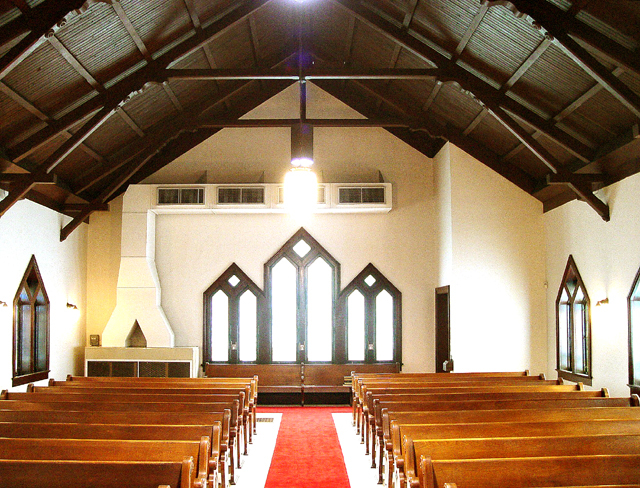 The reopening allowed the celebration of the building's 100th, anniversary. 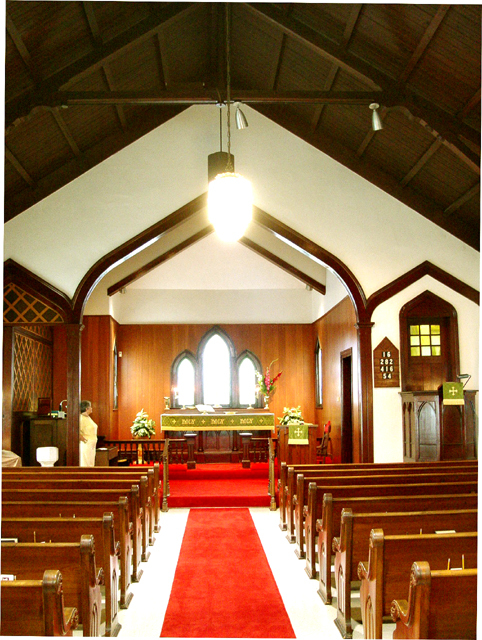 Later, the church was acquired by the JAH Center For Positive Change, under Reverend Jean Joseph, and that is it's current status. This early Wicks theatre organ (Opus 433) was originally built in 1922 for the Lyric Theater in New Orleans. According to historical records, the Lyric was a vaudeville house, located on the downtown-lake corner of Iberville and Burgundy. The theater catered to African-American patrons. Historical records indicate that notable performers, including Billie Holiday, and Louis Armstrong, made their professional debuts at the Lyric. The organ was sold to the church after the Lyric closed. 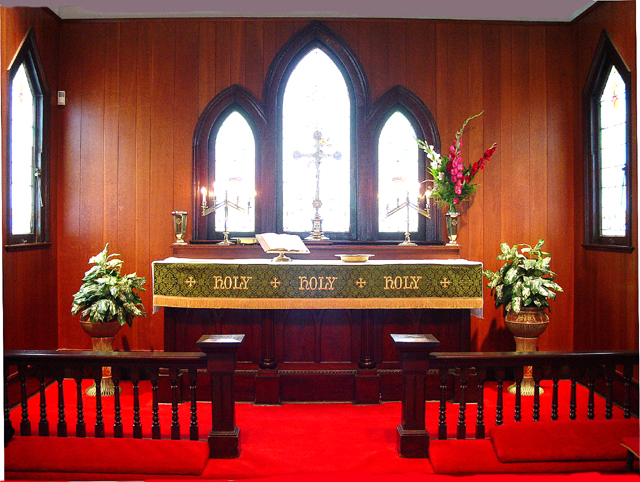 New Orleans Churches.com is pleased to report that In a recent message from Rev. 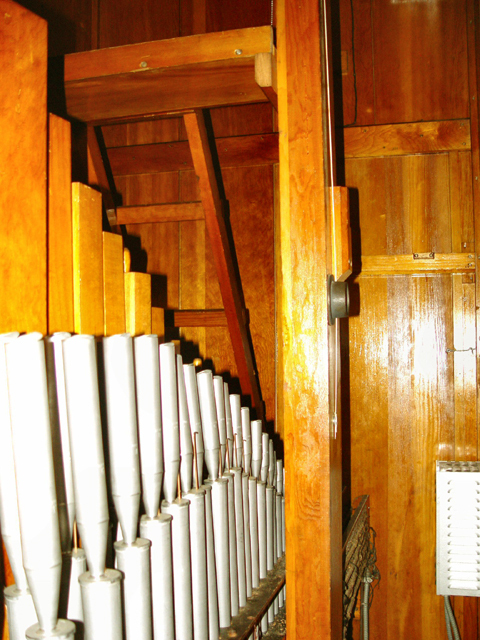 Jean Joseph, it was reported that the Wicks organ Opus 433 has been fully restored and is presently in use. 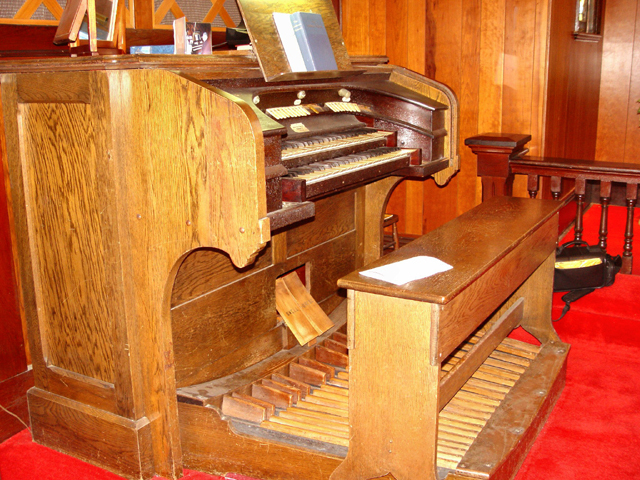 There is also a record found in the OUSCDB indicating that this congregation had a previous organ, built by John Sole in the late 1800's. The instrument consisted of one manual and five ranks of pipes.